You are here: Home / Landcare Practices / Seed Saving – There’s Always Room for More! Seed Saving – There’s Always Room for More! Are you a person who is curious enough about nature to notice when plants are flowering and fruiting? 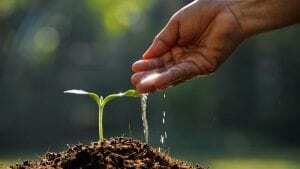 For that is all it really takes as a prerequisite for becoming a seed saver. 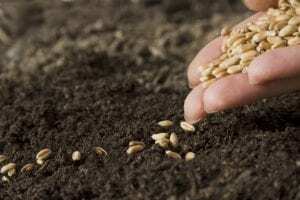 The tips and tricks associated with saving seed may be something that one acquires over time through their own trials and tribulations, and/or from the sharing of knowledge with others. This article is to help you skip some of the former and jump straight to the latter. This is also an article to foster interest in people to gather seed from across our region and bring to the Landcare Nursery for us to continue propagating a healthy mix of native species. So please read on. First, a caveat – this is not aimed at making you a guru overnight. It is also not intended to fully address any legal/legislative requirements, though this aspect will be touched upon. And lastly, this is not just my knowledge; it is an accumulation of many people’s skills and experiences across many landscapes over the years. So – you’ve met the first criteria of being curious, and noticed a plant in full bloom or laden with seed. What next? Well, let’s check that it is in fact seed or bloom. This may sound a bit silly or even condescending, but it does happen that eager newbies to seed collecting will gather up samples of what they think is seed pods, only to be let down with the statement from others that the sample is in fact immature flower-buds, not matured seed pods. One example of such trickster plants are the Eucalypts. Part of their scientific naming refers to the cap on the flower bud before it opens – it varies in dimensions across the different species, but if you imagine the silhouette of a witch (or wizard) with their tall hat on, then the ‘hat’ is the part of the bud which will eventually fall off to expose the petals, anthers, stamens and associated beautiful (but arguably, botanically pornographic) parts that we call a ‘flower’. The actual seed pod is still a few steps away. Okay, you’re confident your plant is flowering. Now, do you have any idea what the plant actually is? For when a plant is in bloom, it is a good time indeed to figure out what us humans call it, and/or to check or refine your earlier knowledge of said plant. In these modern times, there are many resources available to DIY plant identification. Reference books and internet are probably the two staple options; given that many of the texts these days also have their own associated on-line presences and that many herbarium-type record systems are electronic and on-line, it is probably more a personal preference on which you turn to first. I may be showing my age in preferring texts, or I may be biased that way from my academic background, but the ol’ book (or three) is still regularly used by myself and colleagues – around the landcare nursery, in the field and at home. Such texts are typically a modest investment, but worth it for anyone wishing to self-educate themselves. At least one of the texts I regularly turn to have in recent years developed digital key-based versions – again, a modest investment, but a classic ‘you get what you paid for’ example in my opinion. The Landcare nursery has a selection of reference texts available for purchase. If you’re not set up with your own references, or your casual online perusing hasn’t given you a dead-set, bullet-proof positive identification, then it’s time to ask around. Actually, it’s good to ask around even if you think the internet made you a guru overnight – even those of us observing plants for many years still often share observations and opinions on plants and identification. We never run out of new things to learn and mis-identifications (usually a result of over-confidence) to correct! When you do begin to ask around, equip yourself with some good background information and, where possible, a plant sample. Things to take note of include where the plant grows – soil type, elevation, aspect, typical soil moisture, and what other plants grow nearby. Digital photographs are so convenient these days, that you can point-and-click aplenty too. Photos are good for capturing elements that are vague to describe or tricky to sample – height and spread, foliage patterns/structure, bark on trunk and limbs, etc. For your plant sample – well, here’s where the first bit of ‘legal stuff’ comes in – whilst a section of plant is good (and often essential) for a correct identification, if it is not growing on your private property, there may be restrictions on you simply ripping a limb off in the name of landcaring. For some unusual or uncommon species, there may be restrictions even on your own property. I don’t intend to scare or deter you with this warning, but more an encouragement to make yourself aware of the do’s and dont’s – covering it all in this article would be a bit much. 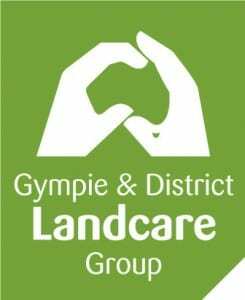 Further information can be obtained through our Landcare group as well as Local Council, State and Federal Government and even other conservation/advocacy groups. Generally, Local Council will oversee road verges and public parks; State Government will oversee National Parks, similar state reserves and ‘vegetation management’ laws; whilst Federal Government will be of relevance for species and/or locations that have been noted for particular interest – e.g. rare/threatened on a national scale. Let’s assume that mauling your chosen plant is not going to lose you everything including the rug beneath your feet and leave you in solitary confinement for all eternity. The next step would be to choose a representative sample of the plant. For trees, shrubs and vines (mostly ‘dicots’), this would typically be a growing tip, leaves and a few branches all together, back until there’s a bit of stem that looks like the bark is maturing – that could be anything up to the thickness of your little finger. For grasses, sedges, rushes, palms, lilies etc (mostly ‘monocots’) it may be harder to sample a ‘stem’ without causing terminal injury to the plant. Do your best to get at least one leaf ‘blade’ (which should peel off the stem without too much destruction) and if your target plant happens to have multiple tussocks, you could always try and dislodge a small tussock from the edge of the parent plant. Whatever your sample, there are then two approaches for keeping it for identification. The first, and preferred for any samples brought to Landcare, is for it to be as fresh and hydrated as possible. Keeping it in a moist bag/container (or at least the cut stem moist) is recommended. The second option, which is preferred for storing specimens, is to lay it flat on absorbent material (e.g. old newspaper or butcher’s paper) and weigh it down to ultimately make a dry pressing. That can be your own side-project to study if you so choose. Right… weren’t we about seed collecting? And we’ve only just got to confirming the plant’s identity?! That’s the bulk of the challenge done though. And of course, if you’ve found the plant after it’s flowered, you can still follow a similar process at the fruit/seed stage. Now that you’ve identified your plant, you can get into picking seed (avoiding the solitary-confinement once again, of course). But wait! WAIT!! Yes… another thing I see reasonably often, is newly-eager seed-collecting folks picking seed a bit too early. It’s even something us ol’ regulars get caught out on occasionally. I guess it’s human nature to want something and want it now, and/or paranoia that if we don’t grab it now it will be gone tomorrow. There’s a few ways to dispel these urges. First, I would write, on behalf of nature: If it does happen to all be gone tomorrow, then perhaps there wasn’t enough there to share with you anyway. Sometimes, fruits/seeds may be in short supply or an essential bit of nutrition for wildlife – from the smallest of grubs to the biggest (non-carnivorous) critters you can find. So to let nature come first is a good working philosophy. A second reason to wait is that picking seed early can be, literally, fruitless, or make a lot more work for someone to try and salvage viable seed from the sample. There are some plants that form seeds/fruits inside capsules that need to be well-grown before they naturally open up to release the seeds – if picked too young, these capsules can shrivel in upon themselves rather than opening up, making the seed very difficult or practically impossible to remove for propagation. Similarly, juicy fruits if picked too green won’t rot or digest away from the seed as easily as ripe fruits – think about eating a nectarine, and how much easier it is to bite right down to the seed in a ripe fruit compared to a too-cheap-to-be-true unripe one. Have you waited long enough now? My rule-of-thumb is again to let nature whisper to me. If there’s some opened pods or eaten fruits starting to fall to the ground, then it’s probably a good middle-of-the-season stage to harvest some ripe seed. Inspect these tell-tales closely to start with – sometimes, plants will abort seeds/fruits if they’re not viable and/or if stressed (e.g. insect attack, low soil moisture). Aborted, non-viable fruits/seeds may be considerably smaller than expected, may have shrivelled in upon themselves (as noted above), or be hollow/empty pods. If most of the debris on the ground matches this description, then take note of what is still in the tree and perhaps pay it more visits in the following days/weeks until there’s signs of ‘ripe’ seed. Then, it’s one for you, one for the animals, and one for the tree – or maybe even less for you in some circumstances. No need to be greedy – you might not realise at the time, but there’s always going to be another plant, with even more seed, just over the ridge or after the next moon cycle. And believe me, once you get the collection fever, no matter how spacious your storage facility you will fill it faster than you believed possible! So, there you go – congratulations on your fresh collection of seed. Well… seed pods or fruit, to be correct. What you do with it next – to separate, clean and store the seeds – will be another instalment. In the meantime, if you want to work on your gathering skills and bring the samples to Landcare to identify and look after the seed processing and propagation, then we will welcome your offerings. Oh, and ‘monocot’ and ‘dicot’… were you scratching your head? Well, don’t ask… just keep scratching – those terms involve a crash-course in plant anatomy and physiology, for another time, when you’re feeling quite intellectually brave.